This unconventional recipe for corned beef and cabbage dip is delicious and perfect for St. Patrick's Day or for using up St. Patrick's Day leftovers. Serve with some toasted bread slices, sturdy corn chips or potato chips, or strips of bell pepper and baby carrots. 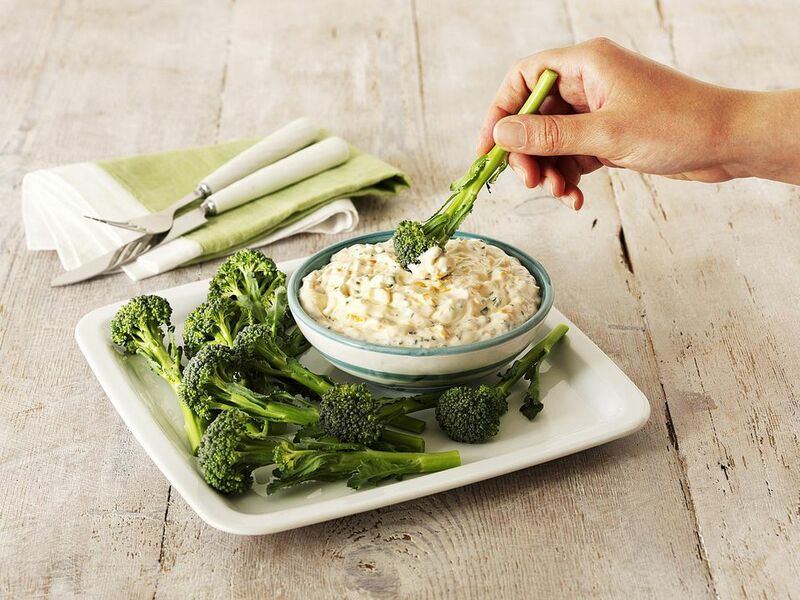 Or serve it alongside other dips for a party. You can bake this dip and serve it hot too. Just put the dip into a 1 1/2 quart casserole and bake at 400 F for 15 to 20 minutes or until the mixture is bubbling. You can then transfer the hot dip to the hollowed out cabbage, or serve it on a hot plate to keep it hot. Other seasonings would be good in this dip. Instead of fennel seeds, try using dried thyme or marjoram leaves. Or add some Dijon or honey mustard to the mayonnaise and cream cheese mixture. Enjoy this unusual dip with family and friends. Hollow out the center of the cabbage. Coarsely chop the removed pieces of cabbage and measure out 1 cup. Save remaining cabbage for another use. In a medium bowl, beat the cream cheese until smooth. Add the mayonnaise and beat until smooth. Stir in the sour cream, Worcestershire sauce, fennel seeds, and salt and pepper, to taste. Add the chopped cabbage and the corned beef, then stir in the shredded Havarti cheese. Spoon into the hollowed out cabbage and refrigerate until ready to serve. Sprinkle with the Parmesan cheese just before serving. Serve with whole wheat and rye crackers.